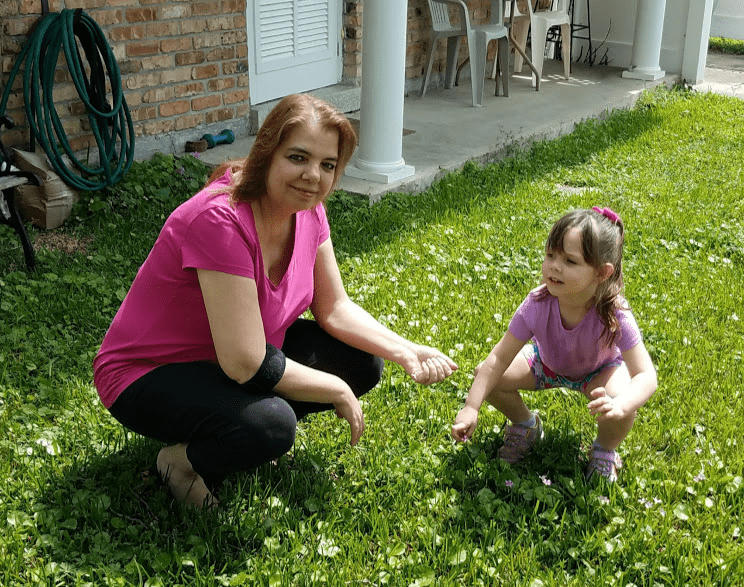 Yesterday was my granddaughter’s 1st birthday. We are having a birthday party for her over the weekend, but my daughter and her husband really wanted to do something on the day she was born. 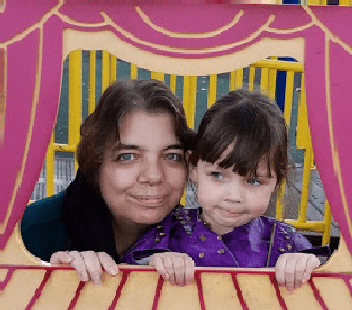 We ended up having a Chuck E Cheese Birthday Party! Yep where a kid can be a kid is still the rule. No one called ahead to let them know it was a birthday party because it really was just a small celebration. Grandparents, parents and Graunty’s (Great Aunts). 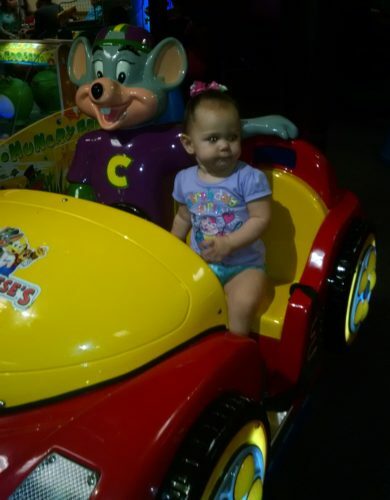 We ordered 2 pizzas, 2 salads, some drink and Gracen, my granddaughter, got a Chuck E Cheese cup. After eating the pizza we played the games and Gracen rode the horse and tried the slide. 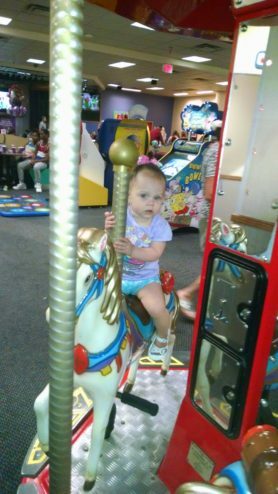 I think her favorite ride is the horse and her favorite game is the one where she can hit the things, she’s very good at hitting them. 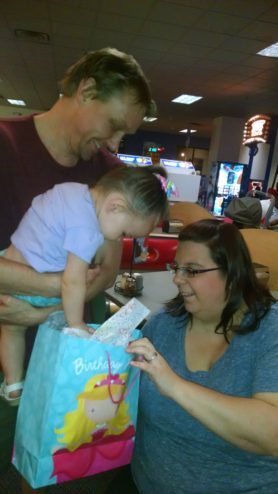 If you are thinking of having a Chuck E Cheese birthday party, their birthday packages start from $12.99 per child. 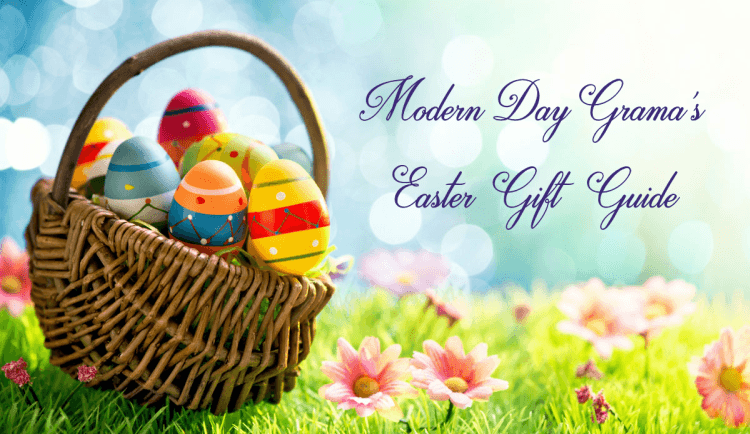 Check out the packages here. 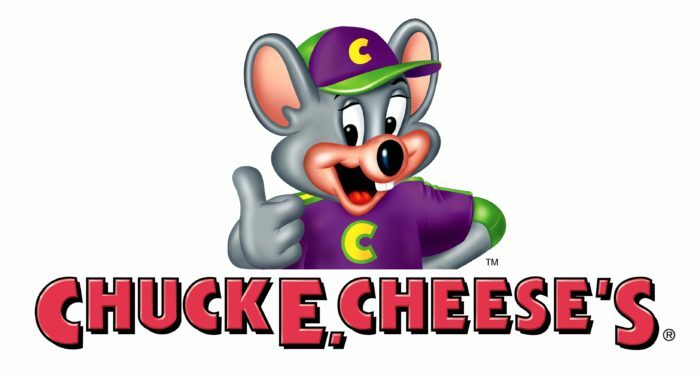 PLUS check out the Chuck E Cheese coupon page, you will find lots of discounts on this page. 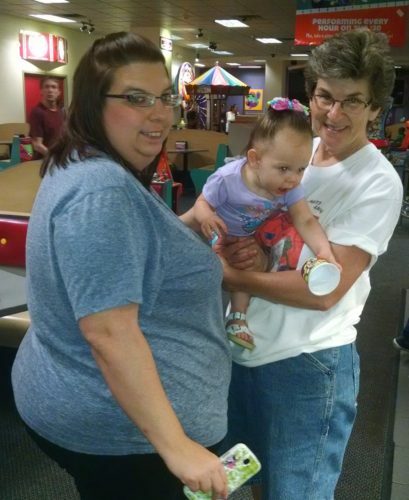 Here are a few pictures of our miracle girls Chuck E Cheese birthday party.